Located at the base of the Mount Snow Resort in West Dover, The Inn at Mount Snow is your home away from home when visiting Southern Vermont. The Inn’s 14 guest rooms, complimentary continental breakfast and WiFi access, along with convenient location to the Mount Snow Resort and superior customer service, are just the beginning to an amazing visit to the Mount Snow region. View the Rooms. 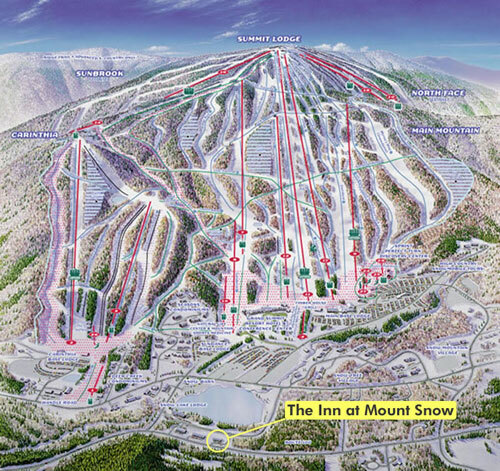 Free shuttle to Mount Snow right from our parking lot! The Inn at Mount Snow is pleased to be named the Deerfield Valley’s and the Mount Snow Region’s first designated “Green Hotel” according to the State of Vermont’s Department of Environmental Conservation.